Marc Jacobs pebbled leather crossbody bag with contrast stitching. 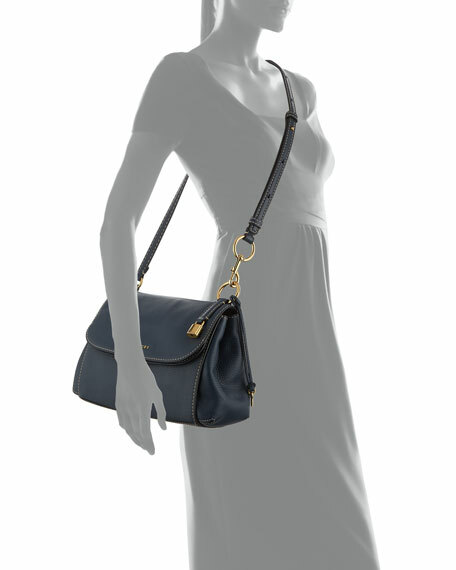 Adjustable shoulder strap with lobster clasp, 21" drop. Layered flap top; push-lock and dual-magnetic closure. Exterior, logo lettering at center front; hanging padlock and key. 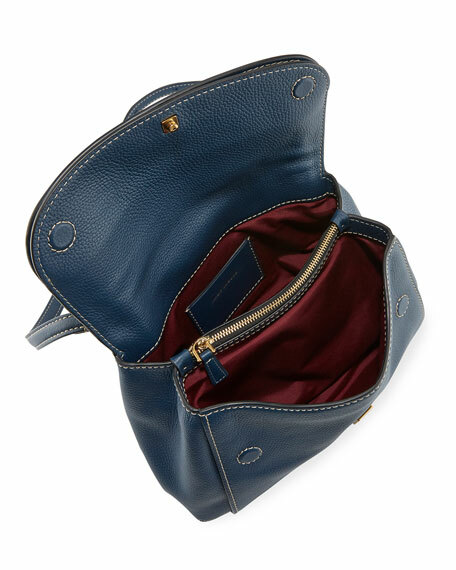 Back slip pocket; large slip compartment inside flap. Contrast fabric lining; one card slot. 8.3"H x 13.4"W x 6.7"D.
For in-store inquiries, use sku #2370958.